Lara has been an attorney since 2003, focusing exclusively on consumer bankruptcy. 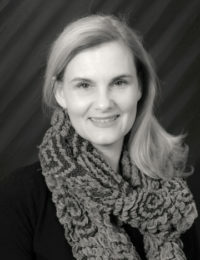 Lara was a member of the Oregon State Bar Consumer Law committee for two years. She has spoken at several CLEs on bankruptcy, and has published articles on consumer bankruptcy. She is a member of the Debtor-Creditor section of the Oregon State Bar and the Washington State Bar, and she volunteers at the Pro Bono Bankruptcy Clinic. Lara earned her B.A. with Honors in English from the University of Oregon in 1998, and her J.D. from Lewis and Clark Law School in 2003. As a law student, Lara published three law review articles. She also interned at the law school’s low-income legal clinic handling bankruptcy, consumer, and landlord-tenant cases. Lara is admitted to the Oregon State Bar, the U.S. Court, District of Oregon, the Washington State Bar, and the U.S. Court, Western District of Washington. Lara writes articles for various publications. She enjoys riding sport horses, reading, running, and spending time with her two lovely daughters. 16 years since Lara M. Gardner was first licensed to practice law.